The RC5 Wi-Fi remote control provides a two-way user interface to the EC and LEC Entertainment Centers. 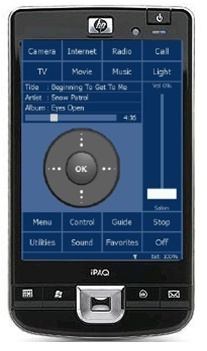 Touch screen for displaying media information such as song name, artist name and song length. Can be used without Entertainment Center monitor or projector.